Hi all – just announcing another fun Twitter party with some of the kind of prizes you love to win – toys! We’ll be talking about some great toys from Just Play Toys, including the hot-for-this-season Doc McStuffins Doll, Minnie Mouse Kitchen & More! 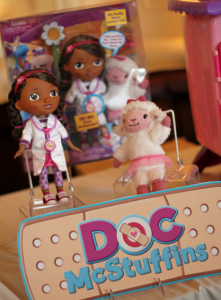 Prizes: We’ll be giving away fabulous toys – everything from Tigger, 2 Minnie’s Flipping Fun Kitchen sets, a Barbie prize package, and a grand prize for a Doc Mc Stuffins prize pacakge.